The two Scandinavian allies strongly supported the outcome of the last NATO Summit in Wales, with a renewed focus on deterrence and reassurance measures to counter Russian aggression in the Baltic Sea region. The Russian invasion of eastern Ukraine and the annexation of Crimea were wake-up calls and virtual game changers to the countries in the Baltic Sea region, with profound consequences on their security priorities. As Denmark and Norway prepare for the next NATO summit to soon take place in Warsaw, these same priorities remain at the top of their agendas. 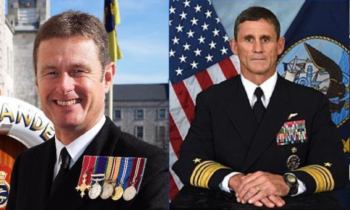 Though similar in many ways – as small state allies which, in addition, have provided NATO with two Secretary Generals in a row, and with similar reactions to what is referred to as “the new normal” in the Baltic Sea, Denmark and Norway however differ in a number of ways when it comes to their perspectives on security and defense. Denmark cherishes a legacy of high-profile military and political activism in the Baltic Sea in the 1990s, when it played a key role in assisting the Baltic States in their newly gained independence. 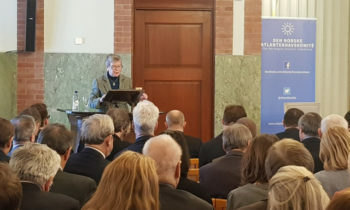 Of particular importance was Denmark´s role as an early – and for a long time only – advocate within the Alliance of NATO membership for the three small and vulnerable states. Once that mission was accomplished, Denmark however quickly downgraded regional security in its own “near abroad” in favor of participation in international operations in primarily the Middle East; a strategy which was aimed at maximizing Danish influence in the Alliance and in particular with regards to Copenhagen’s relationship with the US. As a result, Denmark assumed an active role in missions in Afghanistan, Iraq, Libya, the Horn of Africa, and Mali, to mention only the most recent. In Afghanistan, Denmark had its base in the violent Helmand province, and was the contributing country that suffered the highest number of casualties – 43 – relative to its size. Denmark scored top points in the Alliance for its activist role and solid contributions to international operations, prior to the change of course in its military and security policy that Denmark embarked on in 2014. As part of this new course, Denmark has been an active participant in the many exercises in the last few years in the Baltic Sea, including most recently the BALTOPS exercise with a grand total of 6.000 troops from 17 countries which just ended in the Baltic Sea. In addition, Denmark stated in Wales its willingness to take part in missile defense – which has led to threats of nuclear attacks by the Russian ambassador to Copenhagen. Meanwhile, Norway has consistently come across as a determined “Article 5er” within the Alliance. 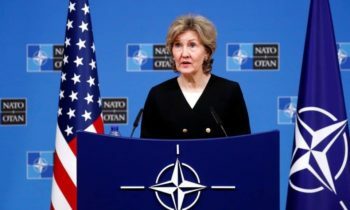 As NATO´s guardian of the Northern Flank –or one of them, jointly with Canada – Norway has argued that the Alliance should hold on to its core tasks and good old collective defense. In this position, Norway, though one of NATOs founding countries in 1949, has thus belonged to the same group as the “new” Central and Eastern European Allies, which also border on Russia and joined the Alliance in pursuit of Article 5 guarantees. Today, the comparative calm in the High North and the Arctic has allowed Norway to increase its efforts in enhancing security in the Baltic Sea region after 2014. 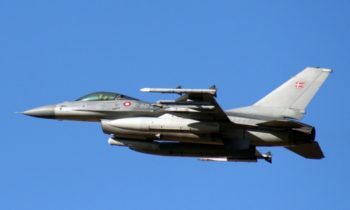 From May to September in 2015, Norway for instance assumed the role as lead nation – as Denmark has on previous rotations – of the Air Policing mission which operates out of Lithuania. Nevertheless, the High North still holds a prominent role in Norwegian military strategy. As the summit in Warsaw has been approaching, Norwegian Defense Minister Ine Eriksen Søreide has repeatedly stressed the need for NATO to have a more visible profile in the North, as well as the need for NATO to make maritime security a priority. The minister was undoubtedly pleased with the anti-submarine warfare exercise – “Dynamic Mongoose” – which was just launched in the Norwegian Sea, including three thousand sailors and aircrew from eight allies. Denmark, on the other hand, is after several rounds of cuts of the military budget right now spending less than ever on its defense, in spite of increased insecurity in the region and beyond. With 1 % of the Danish GNP presently allocated to the military, Denmark is indeed far from the 2 % goal. It was no coincidence that the decision to purchase 27 F-35s was finally reached in May, right before the Summit, though the expenditures for the new fleet of fighter jets will not be part of the regular defense budget. To compensate for this, Denmark is expected to contribute around 100-150 men to the 1.000 NATO troops that are expected to be stationed in each of the three Baltic States and Poland, most likely in Estonia. Not enough, critics say: but it certainly confirms the new direction of Danish security and defense policy in the last three years.